Eddy Current testing is intended for surface inspections of surface and near-surface irregularities in materials. 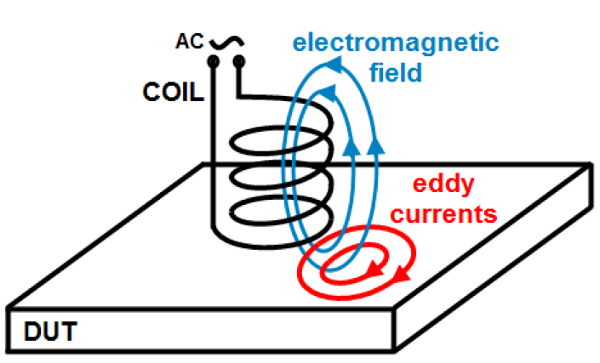 Eddy Current is much like an x-ray for the human body but instead of returning an image, it returns an electrical reading of the defect. The downside of Eddy Current testing is that the immediate surface of the material must be easily-accessible, the finish of the part may cause incorrect readings, and the depth at which defects can be detected has been known to be severely limited.